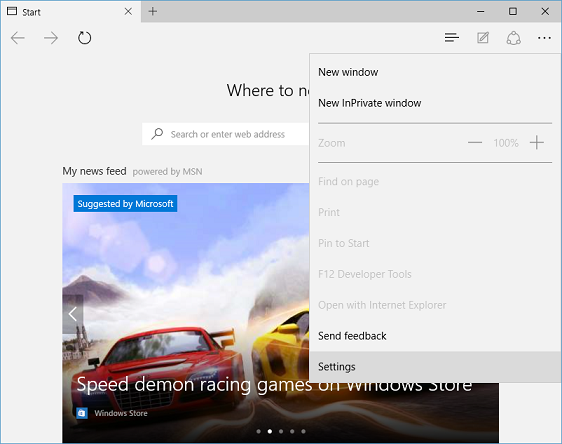 In "Settings" screen, select "A specific page or pages" option under "Open with". 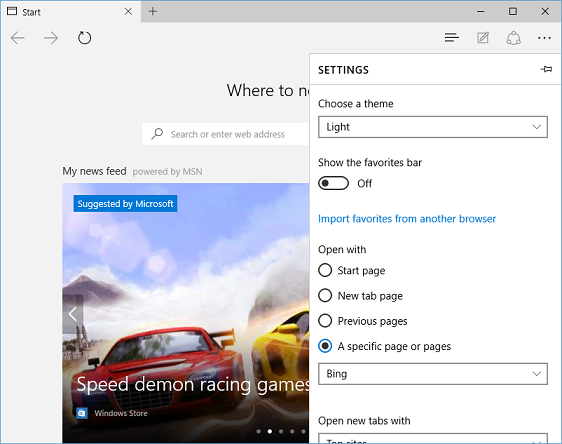 Once you select "A specific page or pages" option, a drop-down box will appear where you can select MSN or bing as your home page. 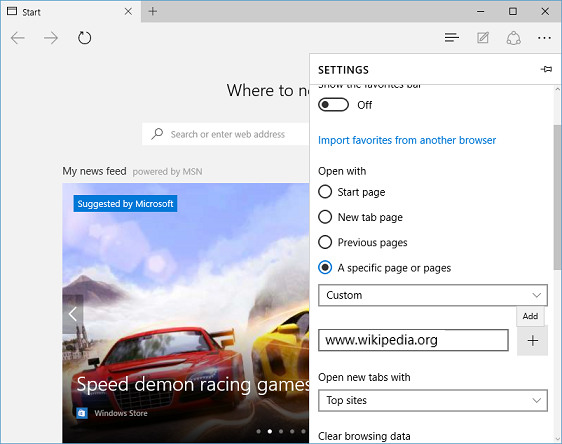 If you want to set any other specific website as homepage on your Microsoft Edge browser, select "Custom" option in drop-down box under "A specific page or pages", enter website address (Url) of your new desired home page in "Enter a web address" text box and click on Add button(+). 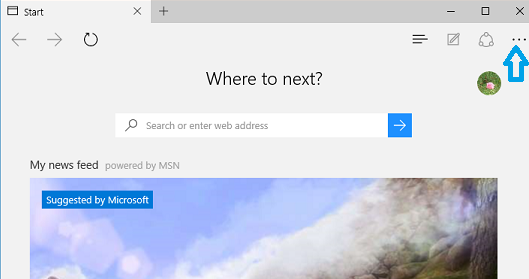 You can also have Microsoft Edge browser open more than one pages on Startup in different tabs by adding multiple website addresses (Urls) here. 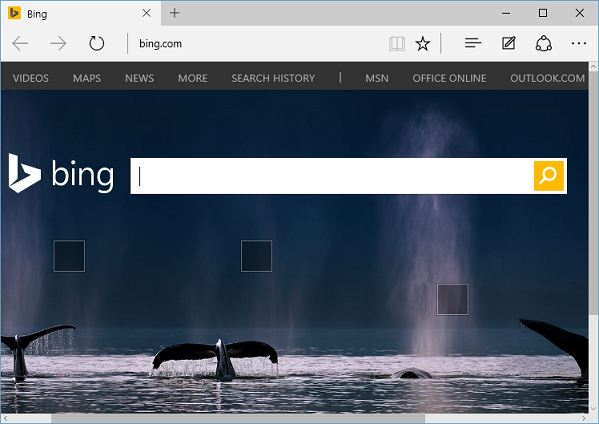 When you start Microsoft Edge browser next time, your new selected website(s) will be opened as default home page.